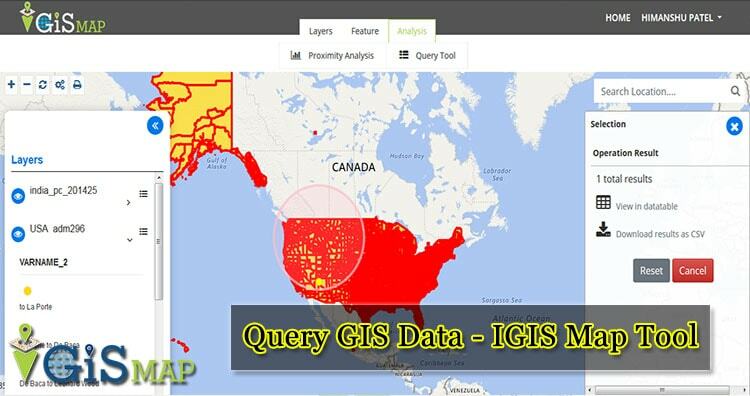 To Query GIS Data easily with IGIS map tool, we can use the Query tool. A GIS query tool, or selection tool as it is often know, allows us to filter a dataset based on criteria that we define. Querying in IGIS Map Tool allows user to explore your data with rule based queries. User can discover their features of interest contained within the map by querying. IGIS Map tool allow users to build their own queries that we may not have envisaged when we first created the map. It also query GIS data according to their choice. Query tools allow maps users to do more than what the map maker envisioned when they styled the layers. Here are the few steps to be followed for querying the map. 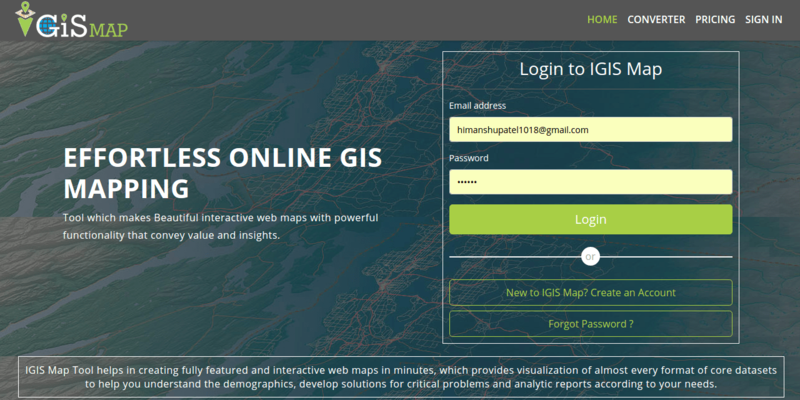 Go To IGIS Map Tool and login to your account. Upload dataset and create a new map project Or Open your existing map project. Select the “Query tool” option on the Analysis Section. Select the Layer to query GIS data. All the layers in your map are available in this section, you just need to select the layer in which you want to query in. Confirm a shape i.e. circle , rectangle or polygon to draw a query. User just need to select the shape and start drawing the shape on the map to query the data. similarly as above image shows the queried data as highlighted which is queried by a rectangle. Click on the Get result button after drawing the shape. You can view the result in as tables and also download them as CSV Format. This is how you can Query GIS Data with the IGIS Map Tool in a minute. Query tools allow maps users to do more than what the map maker envisioned when they styled the layers. IGIS Map Query Tool can be used in various sectors like Insurance, Banking, Risk Management etc. There are also other query tools available in the market. IGIS map tool however, is a much better choice to Query GIS Data if you want to share your maps with a larger, more distributed audience. This may help you to Query GIS Data with IGIS Map Tool. If you find any problem in creating one such example do let us know by commenting below.